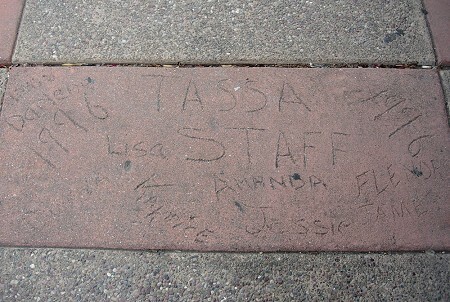 The Tassafaronga Center is still a cheerful place. 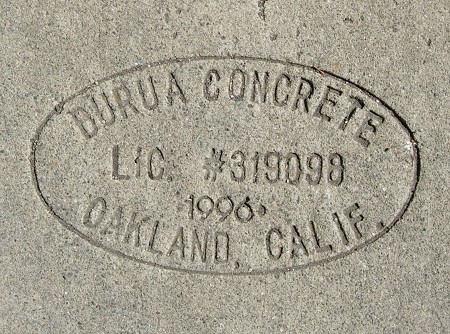 Burua marks are hard to find, but I’ve recorded them from 1990 to 2003, which puts this right in the middle. It’s a lovely thing in a part of town that needs them. I assume that Apodaca is one of the Apodaca Bros.
Would be interesting to find more work by Running Bear.